In March 2014, China's Skyworth released their first OLED TV, the 55" E980 (curved Full-HD WRGB OLED panel, made by LG Display). During CES 2015, the company had two TVs on display, both curved and with 4K (UHD) resolution (55" and 65" in size). 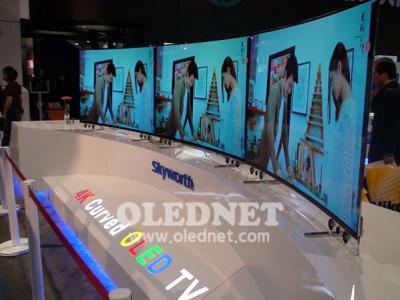 According to OLEDNet, Skyworth's marketing chief says that the company will launch four OLED TV models in 2015 for the Chinese market, including the 55" UHD one.